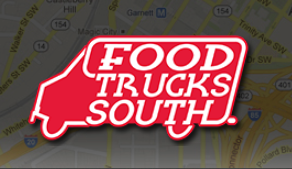 Description: Food Trucks South is an Atlanta-based operation that punches out quality-made vehicles for clientele, and has worked with business owners small and large. Our paramount commitment is to manufacture the finest quality “Platform and Wheels” for the food service industry. Recently this has included working with designs for trucks to travel in and assist Disaster Relief areas. We specialize in bigger, sturdy model Food Trucks with a strong foundation that owner David Ford has chosen to ensure performance and durability. Once selected, new or pre-owned, we outfit with fully customized Support Beams, Ventilation Hoods, Graphics/Exterior, and every other aspect and piece of equipment to fit your unique and exact requirements and needs. Service is Food Trucks South’s mantra, and we back it up with hard work and quality components to make the truck you need. Have additional feedback about this builder? Contact us to leave a review and share the experience with the community.